One of the things I didn’t realise about publishing a game to Steam was the amount of emails that I would receive from random people about the game. 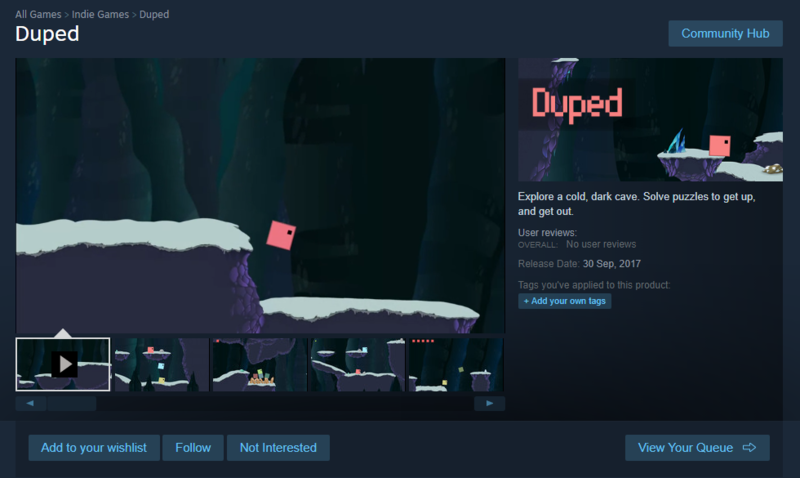 Since Duped was put on Steam (around a week ago), I’ve received 25 emails about it. Since I didn’t hear ANYTHING about these kinds of emails before I released my game, I’m assuming this just isn’t common knowledge. So, I decided I’d break down the kinds of emails that an indie game developer can expect to receive when publishing their game to steam. The first kind of email I got was from promotional sites. As in, websites that people can use to distribute their game (or keys for the game). This includes sites like Keymailer (who I actually found to be pretty useful), as well as a couple of smaller bundle sites who wanted to do bundles. By far the funniest group of people reaching out for emails. These people had no qualms about being who they were. They wanted me to send them free copies in exchange for promoting their game within their steam curation / positive reviews or even just… for no reason? Here comes the boring part. The part that I honestly didn’t expect. There was SO MUCH spam that came through from people pretending to be from bigger sites (or even sites that weren’t that big). The way to tell these ones apart was that they would always have emails from @gmail or @yahoo domains. My strategy for dealing with these guys was just ask for them to tweet at me. Haven’t heard back from a single one yet. For the more obvious scams, I found a neat little site where you can generate fake steam keys. Some of them I sent some batches of these, so hopefully those fake keys end up being distributed to the scammers, or resold somewhere, and I can just giggle about it! (For bonus fun, that fake key generator can let you seed the keys with swear words). These ones were a bit confusing. They were from smaller game coverage sites, and their email addresses seemed legitimate. But, when I went to their sites, I found that something was a bit off. The people and emails used to contact me were listed on the site, but when I actually looked at their articles, they clearly weren’t written by anybody legitimate (at least not anybody who has any sense of care about their work). Things like reviews read like they were automatically generated from press releases (most reviews were written from the perspective of the developers of the game). But then, some of them weren’t? Searching the text of these reviews turned up nothing, where I expected to find that these were stolen from other review sites. Then, I looked at their staff pages. None of their staff had pictures posted, and when I googled the staff, they didn’t exist anywhere apart from this page. No twitters, no facebooks, no linkedins, no nothing. I honestly have no idea what was going on with these. Presumably they’re some kind of scam, but I don’t know why anybody would go to this much effort for a scam that works about as well as the more obvious scams up above. Honestly, not sure where to put this last one. Might have been a scam, might not have been. They claimed that they’re from a service that does localization. This was clearly an autogenerated email, and since Duped has no text or voice in it at all (apart from the menu) I didn’t bother to reach out. But hey, this might actually be useful to some people so it’s hard to hate on them. Still spammy though. So, those are the kinds of emails you can expect to receive when you release a game on Steam. And Duped isn’t even that big of a release. I hate to think what some of the larger and more successful games must go through. Something I learned the hard way this time around – filter your emails! So – we’re right around the corner. 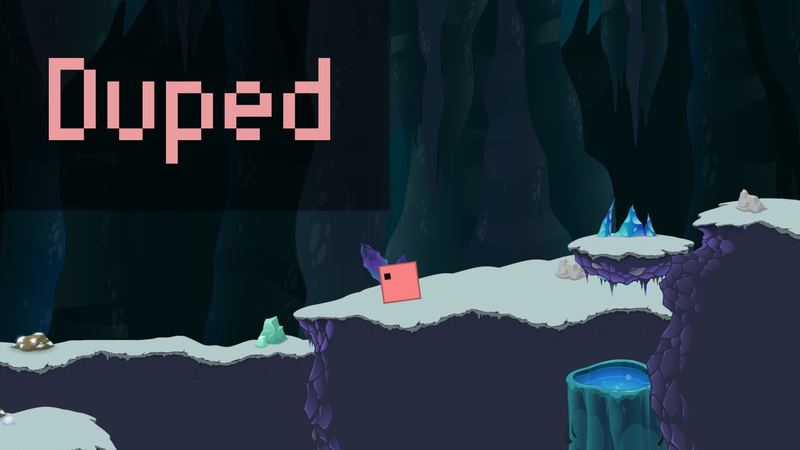 Duped is officially releasing in under a week, and I was kind of stumped for what to write for this week’s post. 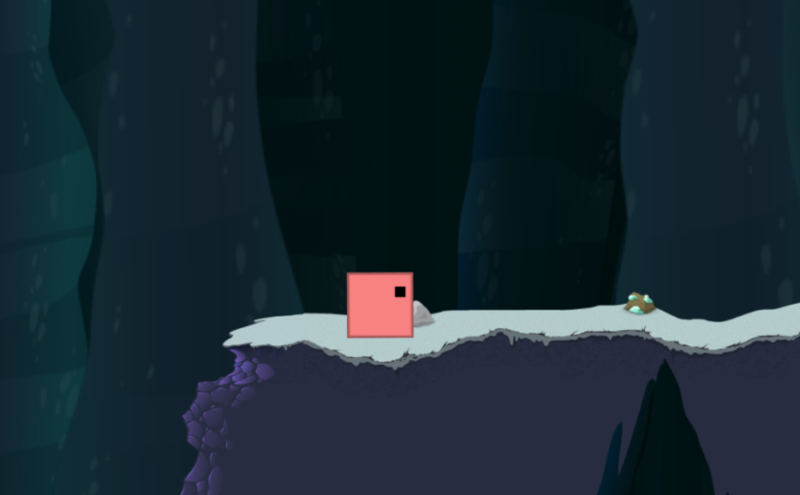 I mean, I haven’t been making any changes to the game (apart from one or two minor bug fixes). I’ve just been doing promotion, making builds, all that jazz. So, instead of exploring a feature that I’ve been working on this week, I’m going to talk about what my plans are for marketing. Then, in a month or so, I’ll take a look back at what happened, what worked, and what didn’t. First let’s start off with some numbers (yay!). 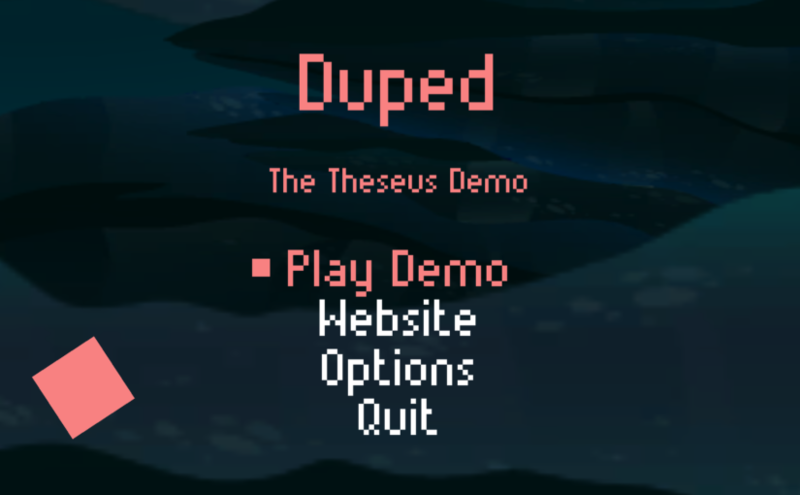 Since Duped: The Theseus Demo was released, it has been downloaded on Steam around 400 times. Of these, 81 people have wishlisted the full game. The conversion rate there isn’t as high as I would have liked, but maybe that’s normal. I’ll post numbers like this on my Twitter every so often. So obviously, the demo is one arm of my marketing / promotion strategy. If you want to read up more about the motivation behind that, you can check out this article. Let’s talk about what I’m doing beyond that. My marketing strategy is pretty limited. Basically, I’m sending out review copies to everybody that I know of. I’ve been following a couple of guides, including this one by the great Jupiter Hadley, as well as lists of relevant sites & youtubers like this one and this one. So, how is it going so far? I’ve had a bit of interest from some creators, but honestly I think I might have screwed myself on this one. 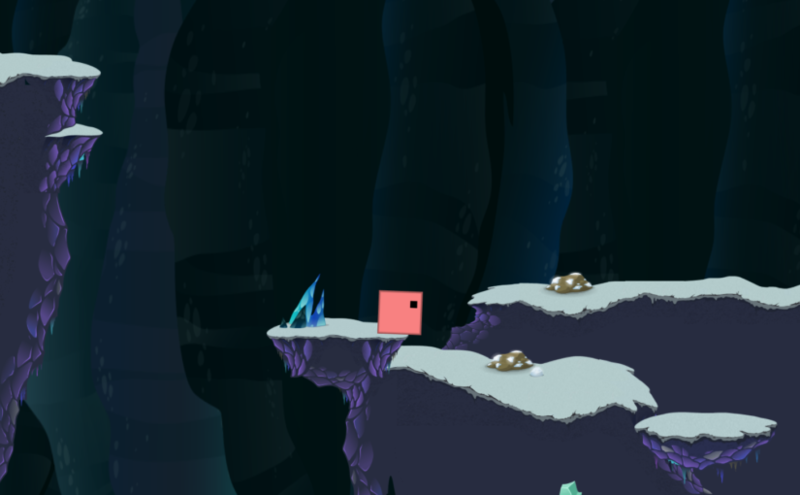 Making a game isn’t just design and programming. Making a game is a lot of marketing, and this is something that I didn’t really realise until too late. 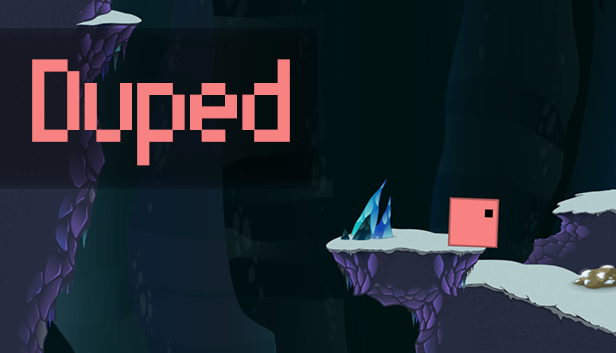 Since Duped is a project I’ve been working on for so long, I didn’t really have a good plan in place for this stuff when I started. I could have done these things earlier, and I could have targeted my release a lot better. That’s really what I’m going to take away from this for next time, regardless of how well Duped sells. One of the biggest pieces of knowledge that I have gained over the process of building Duped is the value of playtesting. I already knew this, theoretically. 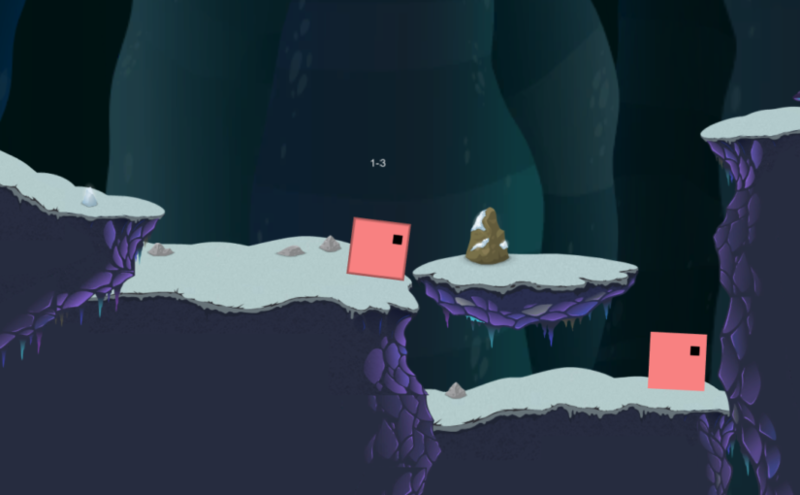 Playtesting is great for catching bugs and seeing what features work / don’t work. But, until I started doing weekly playtesting nights with external folk as part of my dev cycle, I didn’t really understand how important this was. 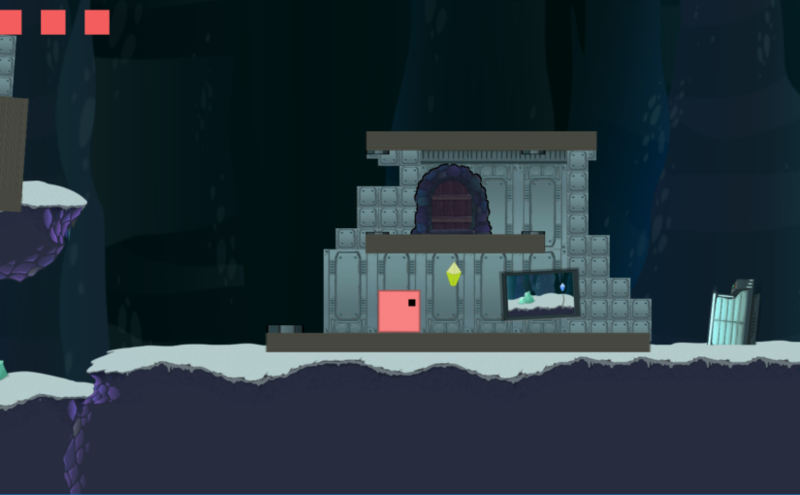 To illustrate that, I’m going to talk about the changes that one level in the game went through – the third level in the game. So, my past few dev logs have all been thought processes and ideas behind certain aspects of the game. 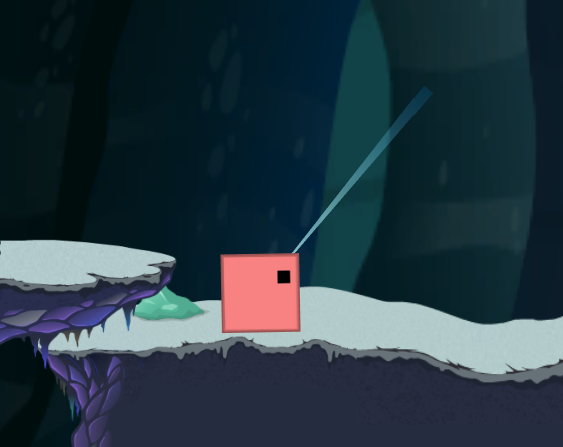 Those are fun to write, but I also want to include some of the updates that I have put into the game, so that people can see the progress being made. So, this week’s post is actually going to be some updates in the latest version. This week I’ll be extended my topic from last week. I’ll be talking about the eyes I’ve implemented in Duped. Before we start though, lets talk a bit about why we have the eyes. This week I’m going to talk about something that I have been thinking about a lot while making Duped. This probably wont be new to anybody, but it’s something that I’ve been working on a lot so I’m going to talk a bit about it and maybe somebody somewhere can get some insights from my journey. So… I’ve had a bit of a tumultuous relationship with dev logs in the past. I’ve tried to start them a few times and have always kind of petered out. BUT – I’m trying to legitimise, and being consistent with my development work is a step towards that. In my process of trying to develop games consistently, I’m going to be doing a dev log (so that I can stick to this, and also so that people can follow along). That’s the backstory! Let’s get into our first devlog.